St Francis Xavier is a Catholic, co-educational P-7 school of approximately 470 students situated in the City of Ipswich, adjacent to the Ipswich Motorway. The school has been in existence for 100 years, having been established in 1910. It is a school which has welcomed children and families from many countries around the world. Over forty nationalities are represented. We are proud of the way that our community blends the best from these cultures to develop and reflect the motto of the school: "Kids Who Care". At St Francis Xavier School, we pride ourselves on working together as a community for the benefit of our children. We have a strong belief that learning is a life long endeavour and that we can all learn from each other. This belief is tightly aligned with our mission statement and with our beliefs and values about teaching and learning. 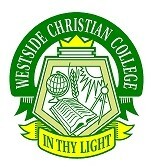 Westside Christian College offers education from a Christian perspective. All staff are committed Christians who support the Protestant biblical basis of the College, and work together to nurture the students toward their full potential. The College aims to provide an education which is in harmony with what is taught in the Christian family, and which is firmly based on the covenant which God has established with His people. be capable of enjoying life in God's kingdom. 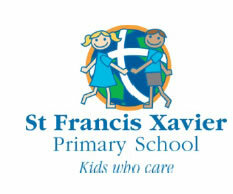 St Francis Xavier is a Catholic, co-educational P-6 school of approximately 510 students situated in the City of Ipswich. It is a school which has welcomed children and families from many countries around the world. Over forty nationalities are represented. We are proud of the way that our community blends the best from these cultures to develop and reflect the motto of the school: &quot;Kids Who Care&quot;. At St Francis Xavier School, we pride ourselves on working together as a community for the benefit of our children. We have a strong belief that learning is a life long endeavour and that we can all learn from each other. This belief is tightly aligned with our mission statement and with our beliefs and values about teaching and learning. Mill Street Studios is a versatile new dance space that is home to the following: 1. DANCE4300 - School of dance offering high dance quality tuition, in a positive learning environment for ages 3+ (email dance4300@millstreetstudios.com.au) 2. Test Pressing - an experimental dance project group with community arts focus. 3. Claire Marshall Projects - a new base for freelance choreographer & independent artist Claire Marshall. 4. Mill Street Studios - a space available for hire, workshops, creative developments, showings, & various other creative projects - be it dance, visual art, or photography showings. Dance 4300 provides high quality dance training for students aged 3 to under 30 years of age. Classes are taught in friendly, encouraging & positive environment by highly skilled teachers with professional industry experience as choreographers, dancers, & as dance teachers. Dance 4300 offeres classes in: ballet, contemporary, jazz, hip hop, tap, musical theatre, singing, acting, & acro. Students can sit exams, participate in eisteddfods, end of year recital & other performances. Dance 4300 offers affordable price of tuition.